This version of NetApp Private Storage for Amazon Web Services is not available to new customers. Public cloud benefits, proven enterprise storage: Gain the flexibility and economics of public cloud while leveraging the performance, availability, security, and compliance of dedicated NetApp storage. Enhanced DR and Backup at lower cost: Extend NetApp Integrated Data Protection to include EC2 for on-demand failover and S3 for archive. Agility to adjust your cloud resources: Dynamically change your public and private cloud resource mix to optimize your business. NetApp Private Storage for Amazon Web services allows enterprises to build an agile hybrid cloud infrastructure that balances public and private cloud resources to best meet their business needs. The solution couples dedicated enterprise storage with EC2 for on-demand performance computing while also offering an option to use S3 for tiered disk-based backup and recovery. Organizations can now bidirectionally replicate data from on-premises NetApp private clouds to NetApp storage in an AWS Direct Connect data center to leverage public cloud computing services while retaining full control and mobility of their enterprise data. Users can now more cost-effectively run IOPS-intensive enterprise workloads and big data analytics using EC2. For compliance, users can leverage dedicated storage and SnapLock, a flexible data permanence capability, to address the strictest data retention requirements. Organizations can also deploy cost-effective disaster recovery by activating EC2 only in test and failover scenarios rather than investing capital in compute resources. Developing on EC2-based hybrid cloud and deploying on a private cloud leverage the right cloud resources at appropriate times in the application lifecycle. Similarly, data center consolidations become easier when workloads can temporarily move to private storage connected to EC2 to maintain operations. 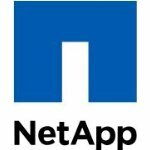 NetApp provides cost-effective support scaled and priced for your needs, whether you are a large enterprise, classified government installation, or small business. Please refer to seller's web site.